UC Merced’s Student Success Internship program is looking for students to fill 33 internships. Mechanical engineering major Arturo Ramirez Reyes learned to fly drones and earned a professional license during his 2017-18 internship. When fourth-year public health major Rochelle Mulondo heard about UC Merced’s Student Success Internship (SSI) program, she jumped at the chance to apply and gain real-life work experience that would boost her professional skills. The SSI program is back for a third year and looking for students to fill 33 internships in departments, centers and schools across the campus. The application period opened Sept. 26 and closes Oct. 14. Instructions on the application process are available on the SSI website . This year’s internships run the gamut with jobs that involve: immigration, food security, research, arts and design, sustainability, digital media, communications, cybersecurity and more. Descriptions about each internship are posted on the CATPaws website. The SSI program offers professional development opportunities for undergraduate students that can help them advance toward a career or graduate school. Internships last about eight months and students can earn a stipend up to $4,000. The UC Office of the President and UC Merced’s Office of Undergraduate Education and Division of Student Affairs provide program funding. Undergraduates who’ve completed at least one semester at the time of applying and have a minimum 3.0 GPA are eligible for the program. Applicants must be in good academic and conduct standing with the university, be able to carry a full course load and be able to devote 10 to 18 hours per week to the internship. Forty-six proposals were received, more than the two previous years, demonstrating the program’s growing success, O’Bruba said. This is an opportunity for student interns to practice real-life career experiences to achieve the self-confidence to enhance in their own professional development. Mechanical engineering major Arturo Ramirez Reyes learned a wide range of skills during his internship with staff members Brandon Stark and Monique Kolster. Stark, director of the UC Center of Excellence on Unmanned Aircraft System Safety , and Kolster, director of the Merced Vernal Pools and Grassland Reserve , developed a project that uses drones to detect invasive plant species in the reserve. The project is one they’ve wanted to do for a long time “but neither of us had the time or funding to take it on directly,” Stark said. 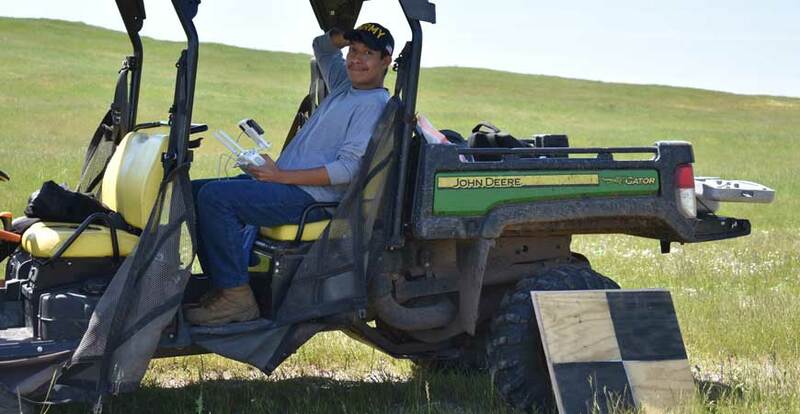 The program accepted their proposal and they hired Reyes, who worked with faculty members to learn field research and earned his professional drone pilot license. Reyes also spent several weeks learning remote sensing and spatial analysis. His work helps the reserve accomplish its land management goals and can be shared across the UC Natural Reserve system. “The Student Success Internship program gave us an opportunity to jumpstart this project, and we developed it so a single undergraduate student could manage it throughout the academic year,” Stark said. Mulondo’s said her internship provided her with valuable experience and she recommends students take advantage of it. For more information about the SSI program, email Brian O’Bruba , call 209-228-7272 or visit the Center for Career and Professional Advancement from 8 a.m. to 5 p.m. in Room 230 of the Student Services Building.